1 tbsp. White Sesame Seeds. 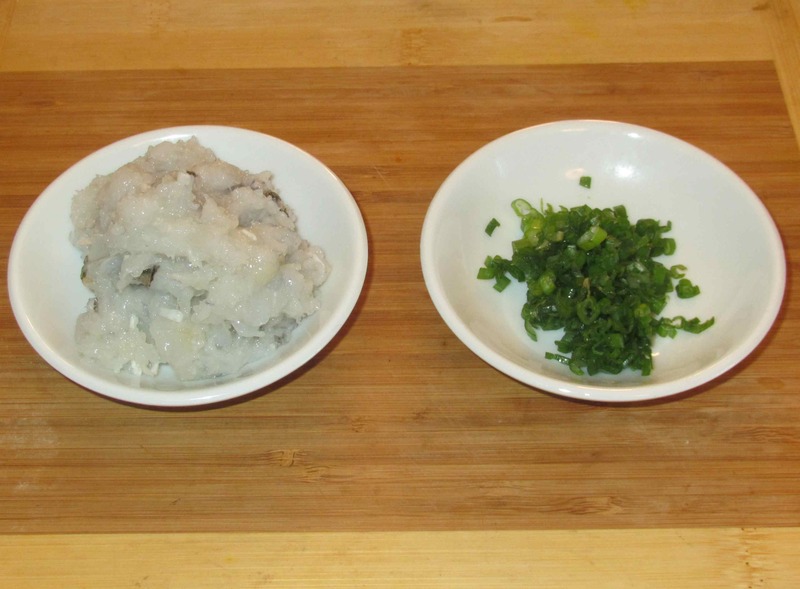 First, finely chop or process the shrimp to a smooth paste and mince the scallion greens. 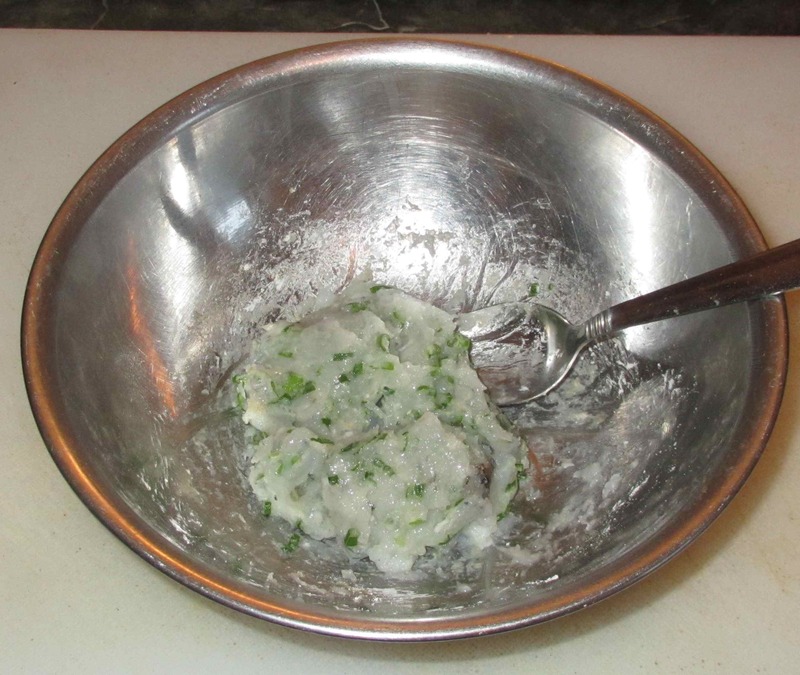 Mix together the shrimp, scallion, cornstarch, salt and pepper in a small bowl. 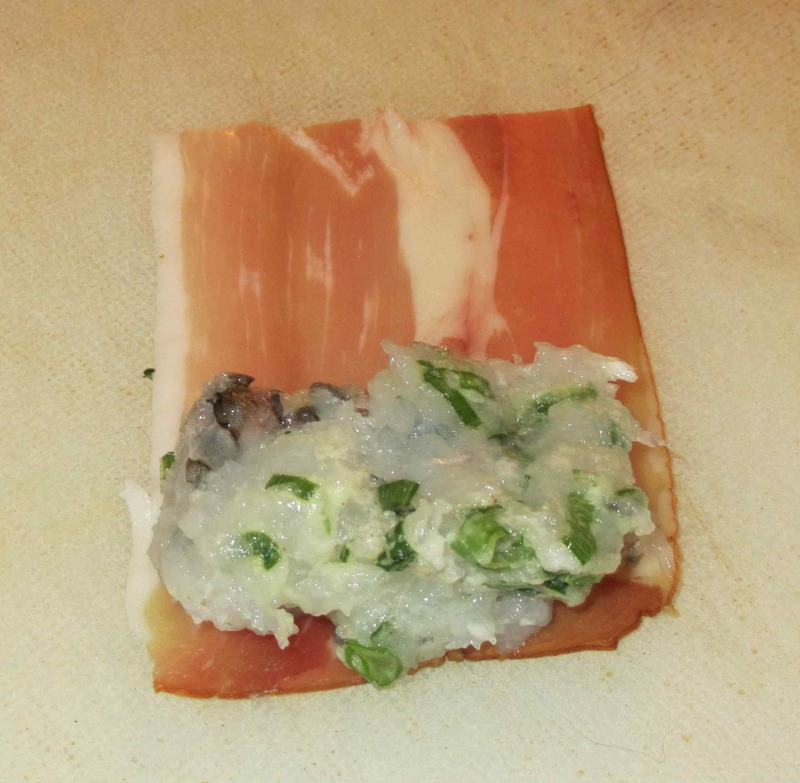 Put about a tablespoon of the shrimp mixture at one end of a prosciutto strip. Make a roll, and repeat with the remaining materials. 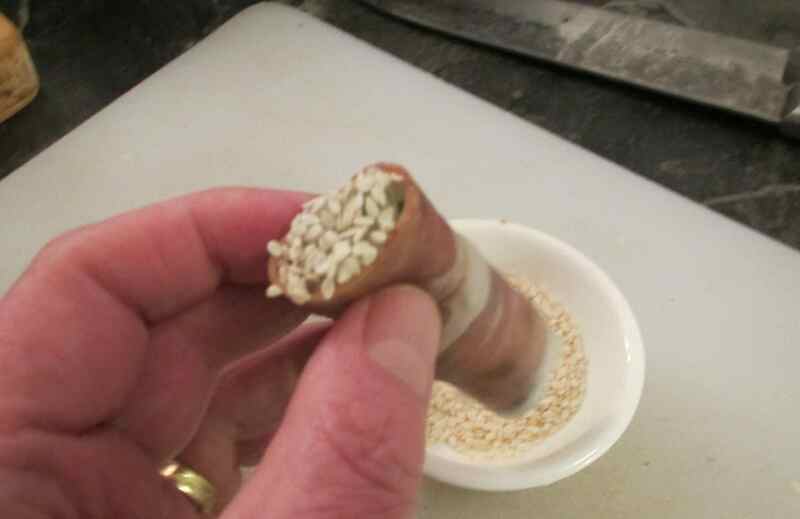 Dip each end of the rolls in the sesame seeds. Now, pan-fry the rolls in a little oil, beginning seam side down and then turning until all sides are golden and just a little crispy. Once they are done, blot them quickly on a piece of kitchen paper and then plate and serve. These were delicious. I served them with a little dipping sauce made from soy, rice wine and just a drop or two of sesame oil. 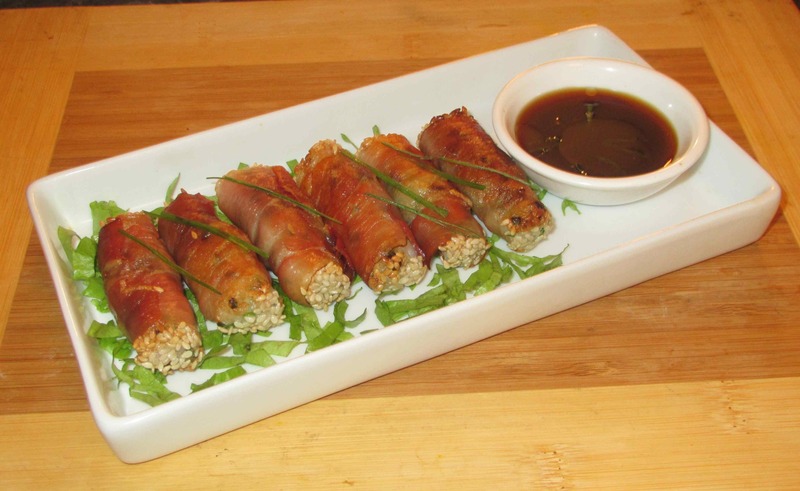 The crispiness of the prosciutto contrasted very nicely with the soft bite of the shrimp and the sesame seeds added a little something extra. My wife really enjoyed them and we had three each. 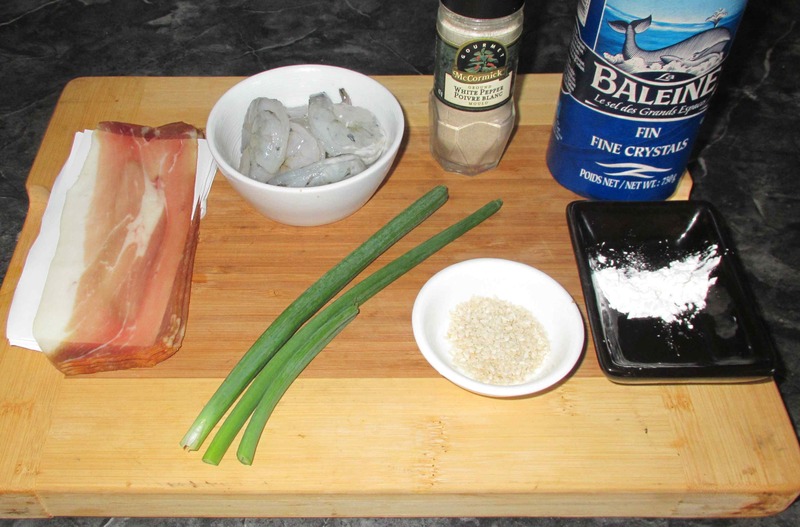 That is probably ideal as they are very rich, but I will certainly be making these again… maybe with just a little chopped green chili mixed in with the shrimp. Thay are, but just a few suffice. Oh dear God! This has to be next Sunday’s lunch!!! Thank you so much for sharing this original recipe!!! 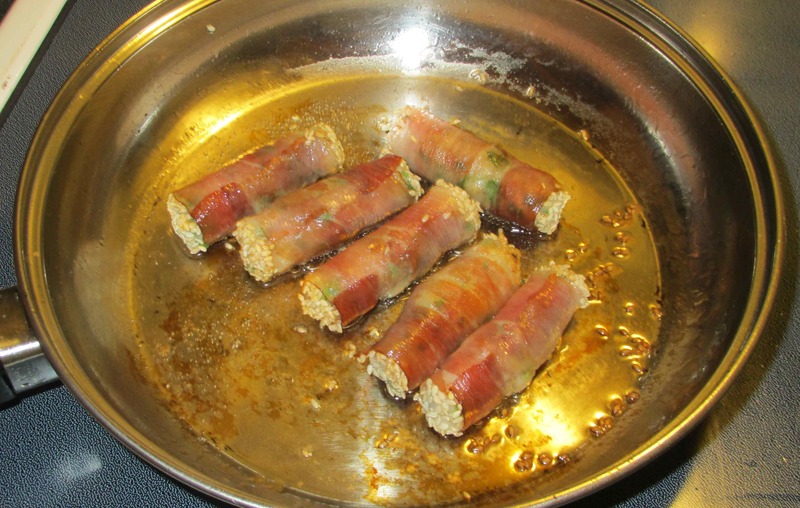 I’d make them as an appetizer rather than a main as they are quite rich…. Interesting fusion. I’ve never had prosciutto with shrimp before, and certainly not with sesame as well. Brilliant and a great low carb snack. Actually, I suppose they would be … as long as the sauce is not heavily sweetened! Sounds like a terrific starter course…I like the idea of adding a little chili. Yes… I think it needs it to counterbalance the sweetness of the prosciutto a little. I might just have to try it this weekend! Yum..
I’d love to hear how they worked for you! I’d like to try it with the beancurd skin, actually. Maybe with nori wrapped inside or outside the skin? Maybe! You never know unless you try it 🙂 Can’t wait to hear if you do! Your font of cooking ingenuity is apparently endless. 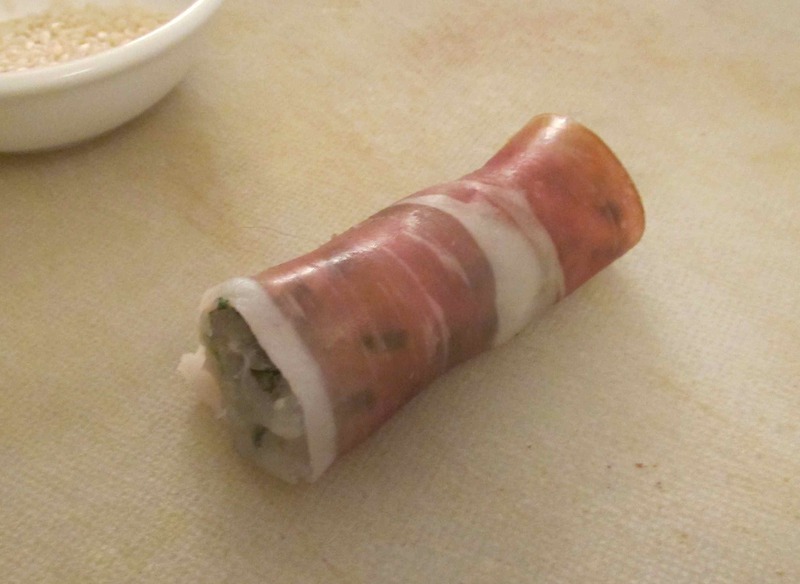 I never would have thought to use prosciutto as a wrapper for shrimp filling but it looks/sounds delicious.